Produced by Shah Rukh Khan's Red Chillies Entertainment, Sujoy Ghosh's Badla starring Amitabh Bachchan & Taapsee Pannu will release on March 8, 2019. The trailer for Sujoy Ghosh’s Badla is out and it looks like a new-age thriller. Starring Amitabh Bachchan and Taapsee Pannu in the lead roles, the film is an adaptation of 2016 Spanish thriller, Contratiempo (English title: The Invisible Guest) that gained its fair share of notoriety on Netflix. The original film was applauded for its twists and turns, that could put vintage Abbas-Mustan to shame. Taking place barely a few hours before a court’s proceeding, a defense attorney visits his client in a hotel room. Claiming to have been framed in a murder case, the client is running against time to prove her innocence to first, her attorney, and subsequently in the courtroom. But what are the missing pieces of information that are being left out? What are they hiding? These are the pointed questions that the seemingly invincible defense attorney needs to ask, in order to help his client get off the hook. Writer/director Oriol Paulo’s The Invisible Guest was a sharp thriller, that forced its audience to continuously question the veracity of the information being provided to them. Even though the film was said to be too far-fetched in certain portions, its central theme around the subjective and selective nature of memories is particularly interesting. 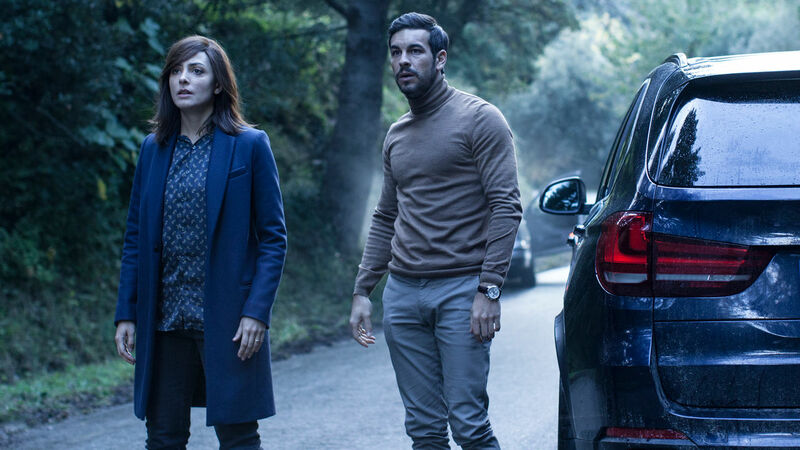 The original Spanish thriller saw actors Mario Casas play the role of a businessman, Adrián Doria, while the attorney Virginia Goodman was played by Blanca Martinez. In the Bollywood adaptation, director Sujoy Ghosh has switched the genders of its two central characters. Amitabh Bachchan plays an attorney called Badal Gupta, who hasn’t lost an argument in four decades, while Taapsee Pannu plays the role of the client pleading innocence. The central premise seems to be faithful to its Spanish original, but looking at Ghosh’s last two films (Kahaani & Kahaani 2), one can expect him to have his own twist up his sleeve. In terms of look and aesthetic, Badla looks like a companion piece to 2017’s Ittefaq (which was also a remake of an original Hindi film of the same name from 1969). Sujoy Ghosh’s film reunites Amitabh Bachchan and Taapsee Pannu for the first time after Shoojit Sircar’s Pink. And like in the 2016 film, one can hope that even Badla will make good use of Bachchan’s famous baritone. Produced by Shah Rukh Khan’s Red Chillies Entertainment, Badla will release on March 8, 2019. Oriol Paulo’s The Invisible Guest is available for streaming on Netflix.